We will respond within 24 hours, except Weekends and Holidays. If this is a medical emergency, please dial 911. Below you will find the phone numbers to our four locations. If you have an appointment, or questions for one of our offices please give them a call during normal business hours. If you do not know who to call and are seeking treatment call the office that is nearest you. Some services are not available at all offices. 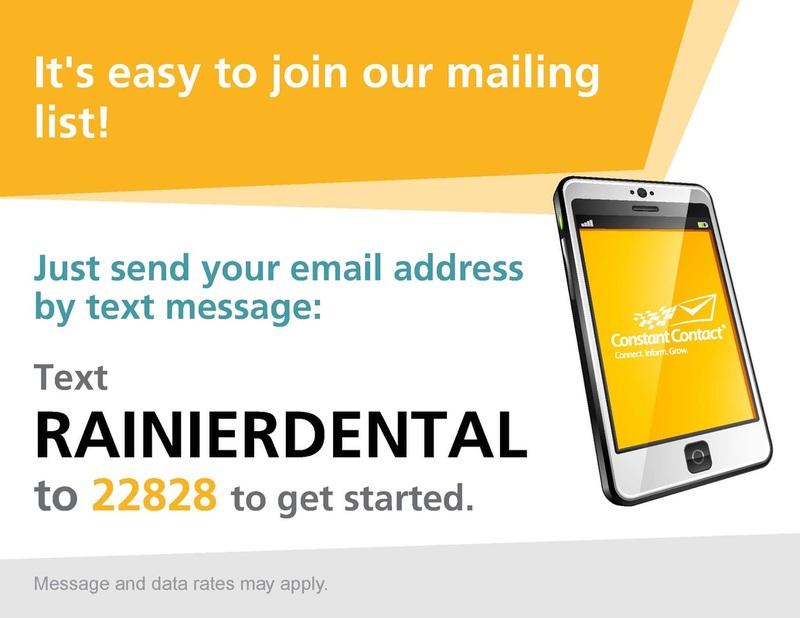 Our friendly staff will assist you in scheduling your first appointment with Rainier Dental. We are open Monday through Saturday with evening and weekend appointments available.